Let’s face facts Cavaliers fans, losing LeBron James is a pretty major loss this offseason. Subtracting the greatest player of all time from a somewhat questionable supporting cast leaves Cleveland in a somewhat precarious situation, with several decisions that could hold significant consequences for Cleveland’s future. That said there is one decision that’s more important than any other: What is our future? Cleveland needs to settle on what direction they intend on going for the next few years. Without LeBron James, Cleveland is not a title contender. This current Cleveland team is not better than Golden State, Houston, Boston, Philadelphia, and/or Toronto, make no mistake. But with a support cast designed around making the finals, Cleveland is not exactly the worst team in the east either. What Cleveland now needs to determine is: do they remain competitive or do they use Golden State’s dominance as an excuse to rebuild? It makes sense why Cleveland might still want to continue and compete for a championship. Even without LeBron James, this roster is expensive. Losing James means that Cleveland has fallen below the Luxury Tax, and there is little incentive to re-tread back over it again without substantial likelihood of competing. Spending the next two years until Cleveland books are effectively clear trying to run at championships could be justified, but the question remains how a team which lost the best player to ever grace the court can continue to compete? Remaining competitive can take several different forms. On one hand, the standard for competitive might simply mean making the playoffs. It could mean making a direct challenge for an NBA finals birth or possibly somewhere in-between. The strategy employed depends on what the administration considers a success. If the 8th seed and a first-round knockout is acceptable (from a profit standpoint it just might be, every home game in the playoffs is another 22,000 tickets or so sold) Cleveland might be best just standing pat with their current squad. Cleveland’s current roster ranks somewhere around the Detroit Pistons and Charlotte Hornets, just at the cusp of a playoff berth. Making smart and cheap signings such as the Channing Frye, banking on improvement from young pieces such as Cedi Osman and Larry Nance Jr, as well as hoping for a positive contribution from Colin Sexton might just be enough to sneak past those other fringe playoff teams. Where things get tricky is if success is aiming for a second round or eastern conference finals berth. Luckily for Cleveland, their roster is designed around having a superstar play the role of “the guy.” LeBron’s second tenure in Cleveland saw a roster of spot-up shooters which could space the floor (and Jordan Clarkson) fit perfectly into a system which capitalized on his passing prowess. With LeBron gone all Cleveland really needs is someone to replace that leadership role. Kevin Love could potentially take on the dominant scoring role, but more likely a trade would be best. Taking a gamble on Kawhi Leonard, even if only for a year, might represent Cleveland’s best chance at remaining genuinely competitive. 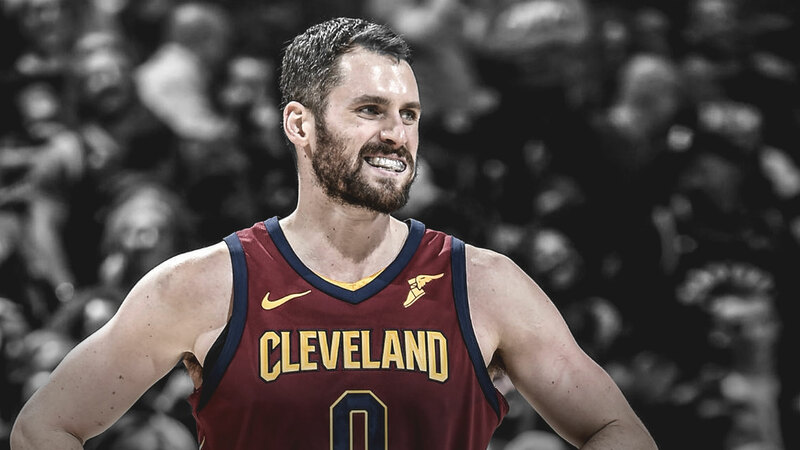 While his deflated value (partially due to his rental status, also due to the potential for injury) should keep Colin Sexton and any future first round picks out of the question, young assets such as Cedi Osman or salary clearing contracts like George Hill as well as the opportunity to get off a somewhat negative asset such as Patty Mill’s contract might just launch Cleveland back into the conversation. Obviously, of note, Leonard was traded on Wednesday to the Raptors, making it unlikely the Cavs can now snag him. The ideas for competitiveness mentioned above, while idealistic, are not necessarily the most proactive decision Cleveland could make. Learning from the last time LeBron James left the Cavaliers, Dan Gilbert should understand that Cleveland isn’t going to necessarily remain at the same level they were with James. Rather, Cleveland should refer to some of their eastern conference peers on how to rebuild their team. Most notably, Cleveland should look to ex-Philadelphia General Manager Sam Hinkie’s rebuilding strategy, notably nicknamed “The Process”. There seems to be a misnomer regarding what “The Process” that Philadelphia undertook entails. Generally, people attribute “the process” to tanking, which is intentionally running a roster of bad players in the hopes of acquiring a good draft pick. While tanking is a significant part of the process, draft strategy, asset accumulation, and high levels of roster turnover played just as significant a part in creating the competitive roster Philly runs now. Let’s quickly break down each of these aspects and understand if Cleveland does choose to rebuild, how they might do it. When it comes to drafting during a process, there’s a method to the madness. The two steps of drafting are manipulating your pick and drafting the player. When it comes to acquiring the top pick, the odds have changed. The worst record in the League used to guarantee a top-four pick, now it’s moved onto five with the first four picks selected by lottery. Additionally, lottery odds are smoothed starting this year, meaning the bottom three records are all more evenly likely to win the first pick overall. While this does discourage tanking outright, it shouldn’t affect the draft strategy. Regardless of where the pick lands, the Process draft strategy revolves around selecting the best player available. For example, despite all three being pure centers, Philadelphia drafted Nerlens Noel, Joel Embiid and Jahlil Okafor each with a top end lottery pick. The goal isn’t to create a team by drafting a single player at each position and assuming that will work out. Rather the draft goal should be to find one or two foundation pieces and continue developing the roster from there. This theorem extends to any draft picks accumulated through trades as well. The traditional approach to drafting at the end of the first round and the second round involves selecting an immediate contributor or a draft and stash piece. When a team exists as a contender (or at least playoff challenger), they already have a solidified core and are looking to immediately extend their bench rather than find a long-term starter in three years. This past draft, for example, point guards Jalen Brunson, Jevon Carter, and Landry Shamet could all see themselves slotted into the backup point guard position for teams that intend to make playoffs (the likelihood of Memphis or Dallas making it are low). But for a team that isn’t completely established, that best player available mantra continues to exist. Take Michael Porter Jr going to the Denver Nuggets, as a young team whose average age is 27 years old (closer to 24 if you exclude 37-year-old Richard Jefferson and 34-year-old Devin Harris), they can take that flyer on the best player available, even if he could potentially not play for the next year with injuries. Regardless of where a process team picks, long-term upside should be prioritized over immediate impact. If the best player available is the mantra of during the draft, bites at the apple should encapsulate the pre-draft process. While the tank was a highly contested and overly publicized part of Philadelphia’s “Process” people tend to forget the number of second round picks accumulated. This year alone, Philly had four selections in the second round. There are notable players that can be acquired in the second round, but more importantly, second-round draft picks have an incredible value for teams. As their contracts are less expensive, and significantly more team friendly (with team options for the third and fourth years as well as restricted rights). Acquiring these picks, however, are easier said than done. The easiest way of acquiring a first round pick is trading a good player to a team with a need. For Cleveland, their only option is the last year of Love’s contract, which due to his age and only a single year left on the contract might not net a strong first round pick at all. Making signings such as Channing Frye at the minimum and the potential for other value signings throughout the rest of the offseason might provide second round fodder as well. But for Cleveland, the way to first-round picks are absorbing negative salary. With the George Hill contract only guaranteeing for $1 Million in 2019-2020, it is effectively a way for Cleveland to swap a playable guard for nearly $20 Million in negative salary. Similarly, if a team is willing to take on the $3.5 million in 2019-2020, J.R. Smith could be used to absorb salary. Based on the past two years’ worth of trades, the established running rate for a mid-range first round pick is around $12-$15 million in negative contract value. The Nikola Mirotic trade really set the value, with Chicago taking on around $12.5 million dollars a year in negative value, Nikola Mirotic, and sending the Pelican’s 2nd round pick back to the Pelicans in exchange for the Pelican’s first-round pick. The makeup of this trade could establish the standard for a Cleveland trade, where they attach a lower value asset such as Kyle Korver into a salary dump to assure that first-round selection in return. Additionally, purchasing second round picks during the draft presents itself as an option. When observing the process, due to all the tanking and effectively trying to maximize losing, casual fans occasionally assume that the regular season is “wasted” and there isn’t value outside reps for young players. This, however, is yet another misnomer. Due to the contract structure written into the most recent CBA, the regular season provides teams several options to experiment during the regular season. Working like a rotating door, rebuilding teams attempt to find diamonds in the rough sorting through undrafted potential NBA talent. While Robert Covington represents the most notable of these finds, providing Philly a starting caliber small forward, there are plenty of examples of quality players found through this experimental process. Milwaukee Bucks backup point guard (and noted NBA champion) Matthew Dellavedova, Utah Jazz defensive specialist Royce O’Neale, and overpaid but still excellent Dallas Mavericks swingman Westley Matthews each represent value found outside the NBA draft. Finding these players, however, has become easier than ever with the addition of several new contract types offered to players. The most notable try-out contract, added just last year, is the two-way NBA contract. The general idea of the two-way gives players an opportunity to play for the G-League associate and get their reps while also having 45 days a year to get called up to an NBA team. Cleveland’s two-way contract, John Holland, impressed in Summer League after the shutdown of Cedi Osman and Ante Zizic, likely earning himself another training camp invitation where he might prove himself an end of the bench player in his second year. For players less experienced or exposed to the NBA league and their scouting teams, two other contract options exist. The first, newly introduced during the 2017 CBA, known as the Exhibit 10 contract requires a bit of explaining. Players signed to an Exhibit 10 contract are invited to a team’s training camp. That contract awards a player a $50,000 bonus if after the team waives the contract that player signs with that team’s G-League affiliate. So for example, say I, William Goodall, sign an Exhibit 10 Contract with the Cleveland Cavaliers. If at the end of the NBA preseason, when teams are forced to cut their rosters down to 15 regular contracts and two two-way contracts, the team inexplicably decides a 22-year old, 5-foot-10, slightly overweight political science major doesn’t particularly contribute towards a winning basketball team (oh whatever could have tipped them off) I could negotiate a contract with the Canton Charge (who obviously would want a potentially mediocre talent such as myself) and receive a $50,000 signing bonus from the Cleveland Cavaliers that doesn’t count against the Cavaliers salary cap. The Exhibit 10 Contract is notable for two reasons. Primarily, if a player does over-perform during training camp, that Exhibit 10 Contract can be translated into one of the team’s two two-way contracts. Even better for that player, it could be converted into a one-year league minimum contract. More likely, however, that Exhibit 10 player is playing for the last major try-out style contract. Known as the 10-day contract, the contract allows a player to sign for a pro-rated minimum salary for a 10-day span. After those 10-days are up, teams then are allowed to resign a player to another 10-day contract. If after that second contract a team still agrees they like a player, they can sign them to a minimum contract for the rest of that NBA season (or if you’re Yogi Ferrell a two-year minimum contract). The reason then that Exhibit 10 contracts sign with a G-League affiliate comes down to the specifics of exposure. Generally, the G-League affiliate will run the same coaching system as the NBA team, meaning that a player which thrives in a G-League system will likely translate well into the major club’s similar system. When it comes to the final decision, compete or rebuild, the final call rests in owner Dan Gilbert’s hands. The factors that motivate that decision including a history of poor performance, team financials, and just personal agenda account for more than simply that how’s of remaining competitive vs. rebuilding, but more importantly the whys. If Cleveland ownership and management truly believe that the decision they make is the correct one and commit holey to it, then likely those moves will be, to an extent, successful. But half-assing a rebuild or a competitive retooling will almost certainly land Cleveland in the league’s least enviable position: toiling in mediocrity.